One day, two sailings and two different ferries. 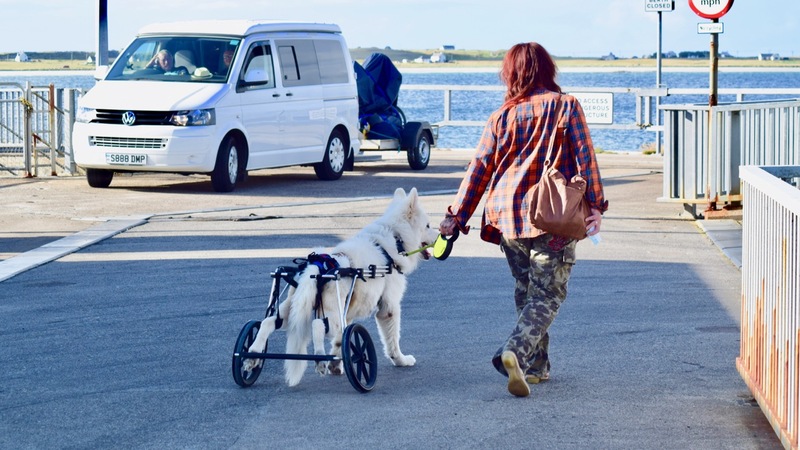 It is not often that this happens on Tiree. It had to be the Tiree Music Festival. It had to be the day after TMF. Leaving Oban at 5:45am the first ferry arrived at 10:00am. 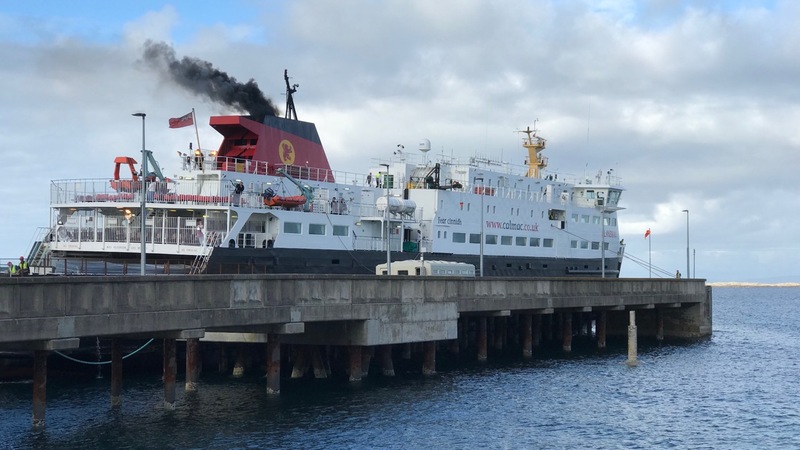 The MV Isle of Mull was rostered as she can carry more passengers. 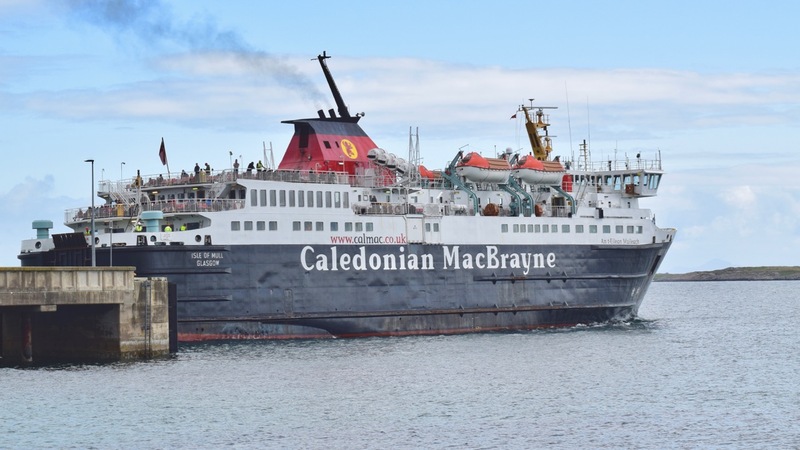 At the same time the MV Clansman deputised on the Oban to Craignure route. 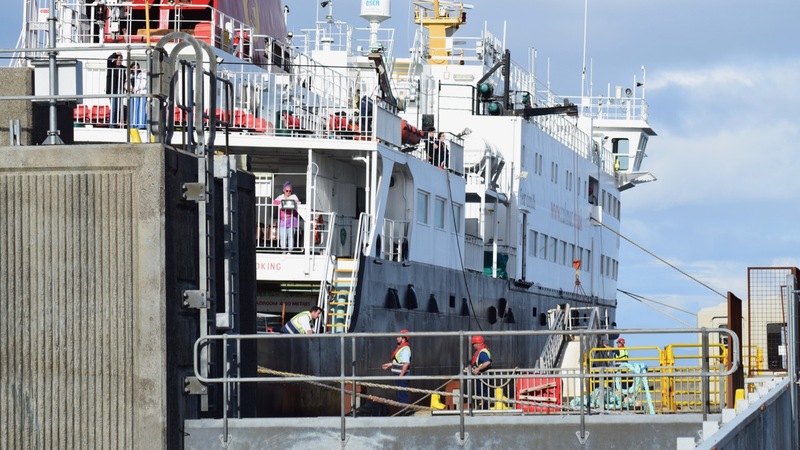 The MV Isle of Mull cleared all the foot passengers and some of the vehicles. 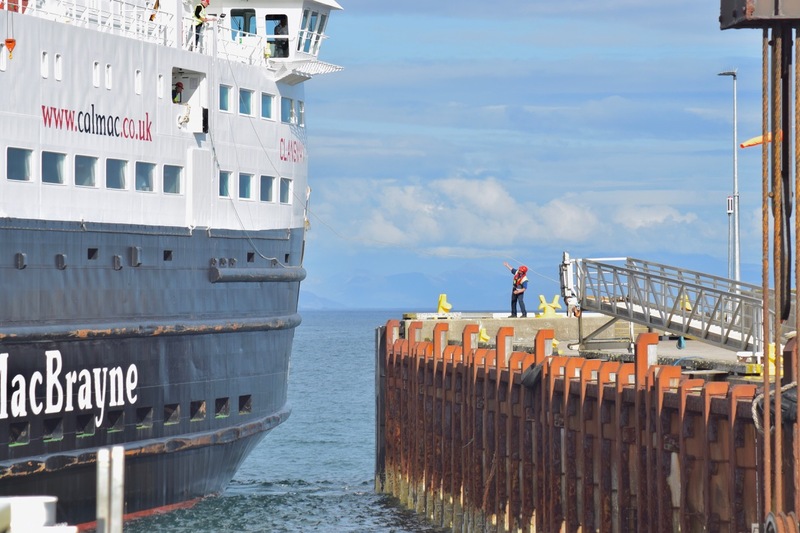 Then the MV Clansman arrived on time at 18:20 having left Oban at 15:00. This was an additional sailing that did not include a stop at Coll. The Isle of Mull had fewer foot passengers on board than was expected. By the time the ferry berthed it was evident that all foot passengers could be accommodated. With relatives to say goodbye to we made our way down to the pier. Passing the marshalling lanes it looked like the Clansman would need elastic sides. There were a few private cars but many large motor-homes and various commercial vehicles. 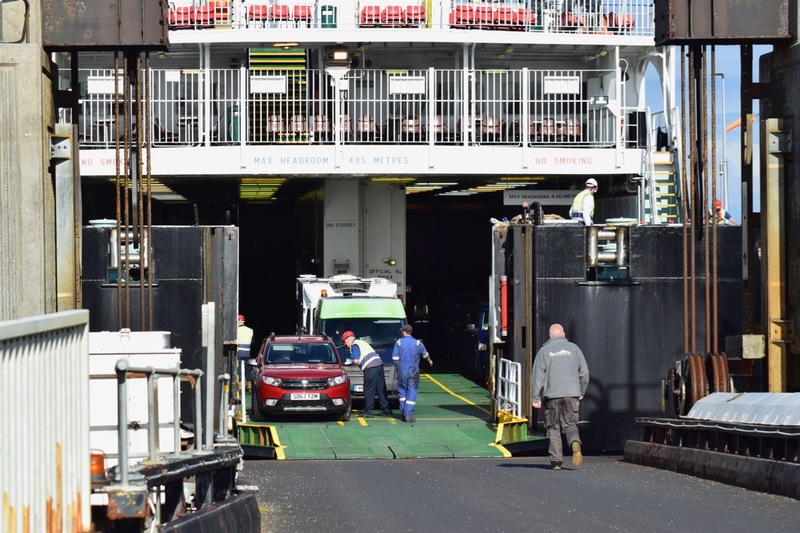 In the morning foot passengers had accessed the ferry via the car deck. 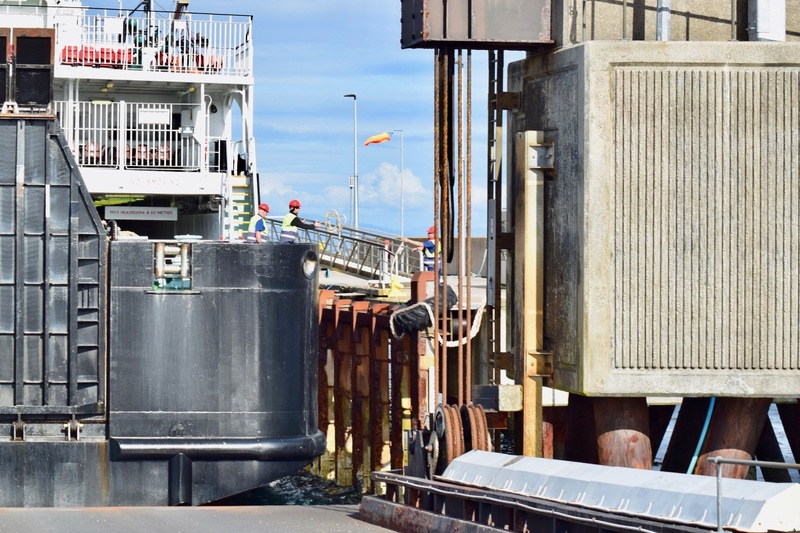 In the evening, with fewer numbers, the gangway was in operation for foot passengers. What did prove time consuming was the loading of the various sizes and types of vehicles. 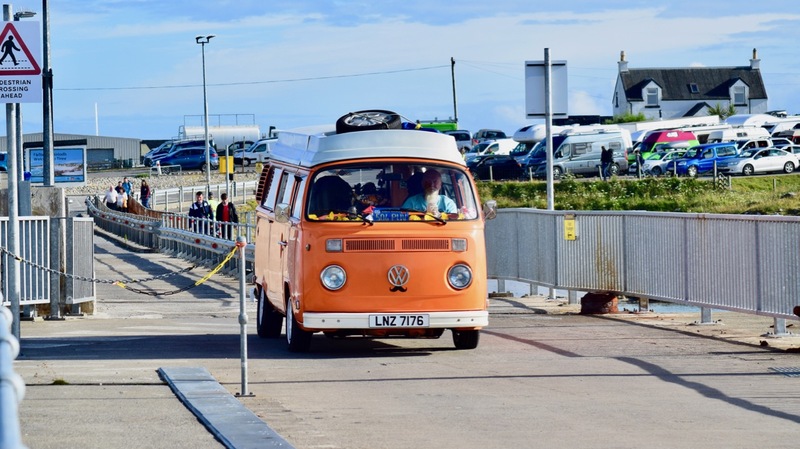 We witnessed this VW arrive and depart . With the mezzanine deck in service all the vehicles were accommodated. The only vehicle left behind was an ice-cream van towing a caravan. It had broken down and had to remain on the island. Once again the Clansman had proved her worth. 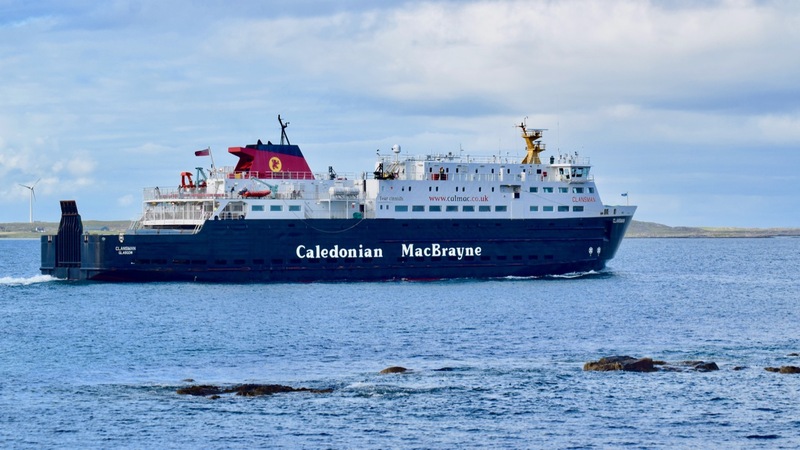 Wednesday’s sailing from Oban to Barra via Coll and Tiree and return has been cancelled. 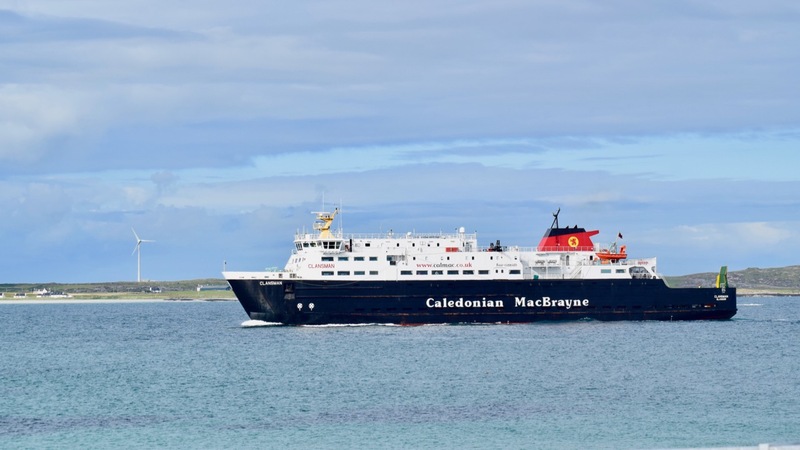 Instead there will be two sailings to Tiree to accommodate the remaining festival traffic. The festival generates an amazing amount of additional traffic. Tuesday’s sailing will be as normal but already it is looking as if it will be busy. As it is an evening sailing the marshalling lanes are cordoned off. Standby traffic is already beginning to form outside the lanes. It is a case of wait and hope for the best. This is Life on Tiree on Pier Watch. MV Clansman heading out to sea and even without a stop at Coll arriving in Oban after sunset.